Gordon’s Tree and Crane Service is qualified in tree fertilization to help prolong the life of your trees. Fertilizing Trees is one of the best ways to promote the health of your trees. 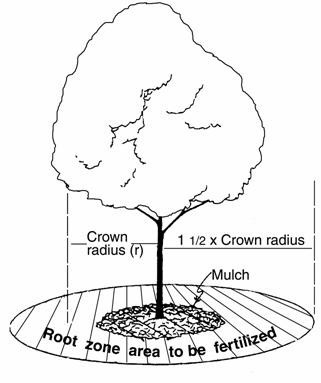 We offer a deep root system for fertilizing trees. Proper organic mulching is another great long term method to enhance the beauty and health of your trees. Late Fall or early Spring are the best times of the year to fertilize your trees. Call Gordon's Tree and Crane Service for any questions you may have and we’ll be happy to answer them.